Native Chief & Feathers Embroidery. 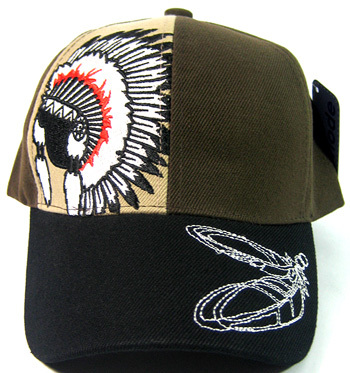 Olive Green / Khaki Crown & Black Brim. Black Color Brim / Velcro Adjustable.